Alternate jersey on-court style jersey. Everything is sewn on. 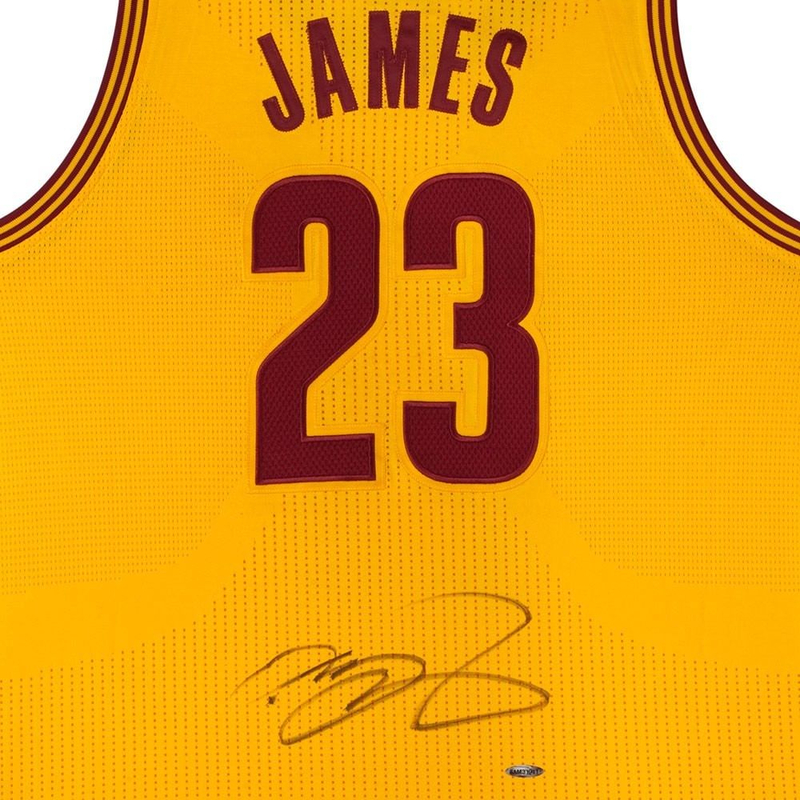 Hand-signed in black paint pen by LeBron James. 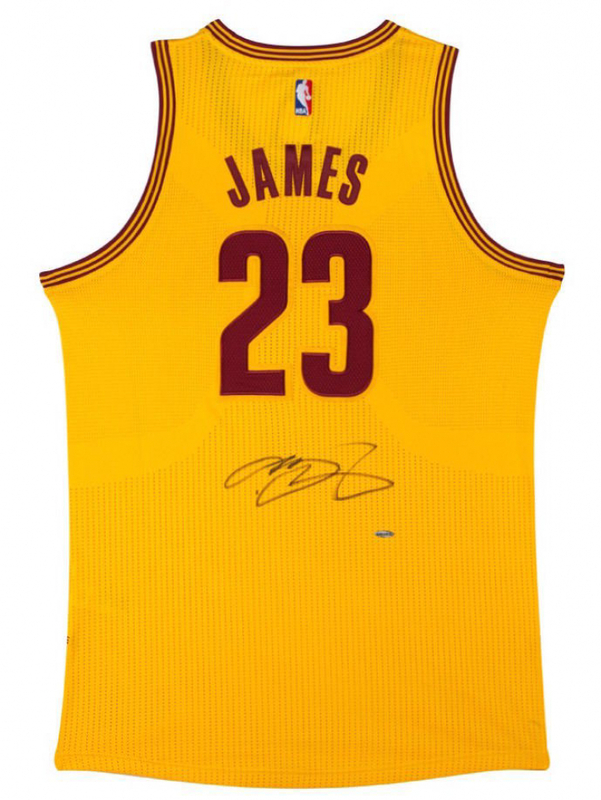 James has signed this authentic Adidas No. 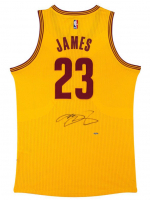 23 Cleveland Cavaliers gold (alternate) jersey in black paint pen. 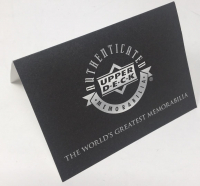 His signature is deemed 100% authentic by virtue of Upper Deck Authenticated Five-Step Process. 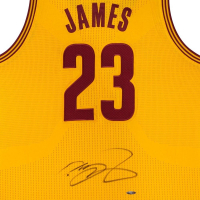 The LeBron James Signed Cleveland Alternate Jersey is gold with maroon numbers.